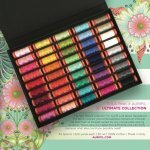 Packaged in a beautiful black fabric covered box with metallic gold stamped graphics and magnetic closure, the Tula Pink x Aurifil Ultimate Collection box includes 45 small spools of 50 weight cotton thread in Tula's colors, hand selected to perfectly coordinate with her fabrics. 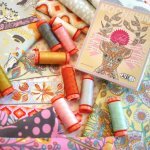 Each spool is 220 yards. 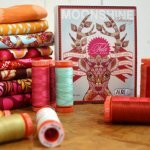 This is a must-have for a Tula Pink fan!